I feel like it's a rite of passage for girls to lust after their mothers makeup or beauty products. Perhaps you longed from afar hoping one day she'd pass you the brush or, like me, you secretly tried everything on when she wasn't at home. 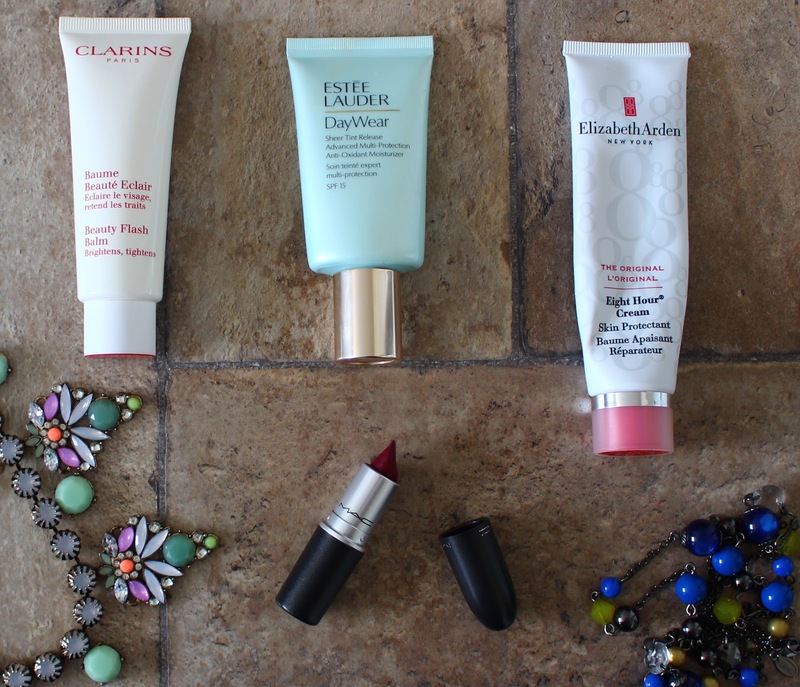 Today I'm sharing the beauty products that I got from my mum! I have my mother to thank for my obsession with this product. It's the perfect prep product for radiant healthy skin. I often use it on no makeup days when I want my skin to look less dull. There's absolutely no shimmer or glitter. There isn't even a sheen to it. It looks like a peachy cream that when gently rubbed into the skin, gives it more life and radiance. It's great for all skin types, even oily skin. This is another product I've been harping on about for ages. You can thank my mum for that! She gave this to me to use on 'special occasions' when I was younger and I've loved it ever since. It's a tinted moisturiser that adapts to your skin tone. It only has a hint of coverage, but it really evens things out. It's the perfect 'barely there' base. Although it does have a heavy price tag, it is brilliant if you're just getting into makeup. Because it's a universal shade that adapts to your skin tone, there is no fear of using the wrong colour. If I had chapped lips or any sort of dry skin, mum would give me 8 Hour Cream by Elizabeth Arden. It's a very emollient multipurpose balm that I use all year round. Although I have found others that I like just as much, if not more, I always have a tube of this knocking around because it's so darn versatile. You can even use it as a cream highlighter, or to create the very editorial (but stunning) glossy eye lid effect. It's a real cult classic. I always used to see Rebel rolling around in my mum's makeup drawer. Mum would always wear this and I'd always be a bit jealous when she'd apply it. Fast forward several years and I love Rebel. It's a gorgeous intense berry purple that looks stunning on everyone. It's not matte, which can make things a bit messy, but I love it anyway! The vibrant deep berry hues can be worn as a stain or a full on bold lip making it very versatile. I can think of so many more products, that I could just go on and on. Let me know if you'd like the see another post like this. My mum has got me hooked on some pretty classic beauty products over the years and I'd love to share more. I think it just goes to show that I may be the beauty blogger, but mummy knows best! Don't tell her I said that! What beauty products have been 'passed' down to you? I love the 8 hour cream and got that from my mum too! Haha it must be a staple among mothers! And for good reason too!